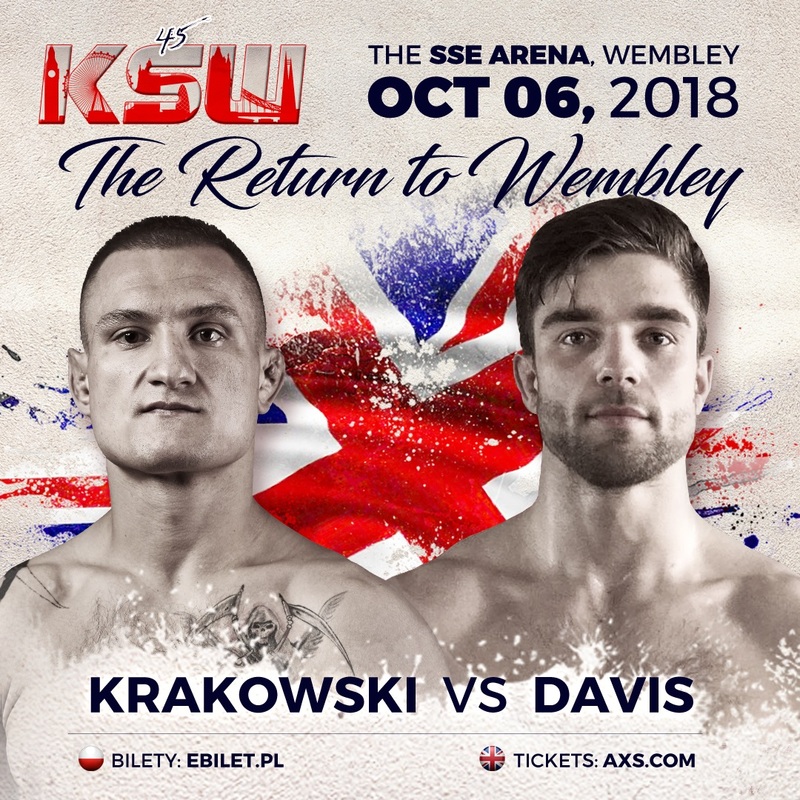 One of the UK’s top rising talents Alfie Davis (10-2) will compete in front of his hometown crowd at KSW 45 in The SSE Arena, Wembley in London, England on October 6. Hailing from the renowned London Shootfighters gym, Davis will square off against UK based Polish fighter Leszek Krakowski (10-2) in the lightweight division. The 26-year-old made his pro debut in 2014 and has registered wins in the Cage Warriors, Bellator, and UCMMA promotions. Davis has also wracked up eight stoppage wins and has even garnered praise from Joe Rogan for his finishing prowess. Now the well travelled prospect will aim to put on a show in his KSW debut and entertain the jam-packed SSE Arena, Wembley. However, looking to spoil the party, like he did at the first KSW London event in 2015, is Leszek Krakowski. On that night, three years ago, Krakowski shocked almost everyone at The SSE Arena, Wembley and defeated UK & UFC veteran Andre Winner to earn easily the biggest win of his career. Since then he lost to top KSW fighter Kleber Koike Erbst but bounced back with decision win over Brazilian Nathan Bastista on the UK scene. The Titan & TSG fighter, who holds nine stoppage victories, is now once again presented the opportunity to shock London again and take a scalp of one of the UK’s top fighters in Alfie Davis. And who can forget the exciting heavyweight collision between the infamous Popek Monster and bodybuilder & social media star Erko Jun.